I got both of these TRESemme products while Boots had a buy one get one half price offer on as i was desperate to give them a try. Firstly the TRESemme thermal creation style creator which is supposed to hold your hair style while keeping your hair soft and shinny. I feel that this product defiantly kept my hair feeling soft and shinny and left it looking hydrated and refreshed. The only down side to this product is i didn't feel that the hold was very good, it held my hair in style in initially but after an hour or so the hold started to wear off all though i wouldn't replace my hairspray for this i would use it to keep my hair feeling soft and looking healthy. The TRESemme tousled wave spray i would defiantly recommend, I've tried other salt sprays before which haven't really worked and dropped out within half an hour. This however left me with bouncy beach waves which is exactly what i wanted. This left my hair looking natural and soft. I would highly recommend this product for anyone looking for a salt spray. Lastly the tangle teezer if you haven't already got one of these i defiantly suggest you consider buying one! After years of using normal barrel brushes when i was introduced to this i was completely amazed that a brush could leave your hair feeling so amazingly soft! Has anyone else every tried any of these products? 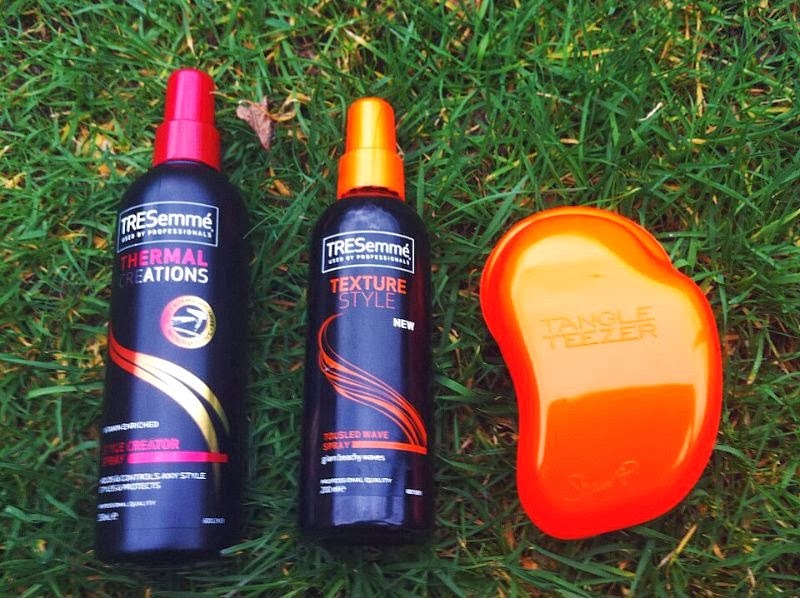 Would you recommend any other Tresemme products? Everyone raves about the tangle teezer, I really need to try it out! Oh really want to try the tousled wave spray! I love my tangle teaser, its so good for brushing out curls too!